Fifty leading figures in music and the humanities – led by Barenboim, Chailly, Domingo, Gatti, Mehta, Pappano, Pollini, Thielemann, along with leaders in Italian public life such as Dario Fo, Bernardo Bertolucci, Andrea Camilleri, Claudio Magris, and Umberto Veronesi – have signed an appeal to the Italian Minister of Cultural Heritage regarding scholarly access to the archives of composers Giuseppe Verdi and Giacomo Puccini. These two important private archives – the Archivio Verdi in Sant’Agata (Piacenza) and the Archivio Puccini in Torre del Lago (Lucca) – belong to the composers’ heirs. Many important manuscripts, fundamental to the study of how these two composers lived and created their music, are stored in the two archives. But without proper access it is not possible to know where precisely, and in what condition, they are being preserved. All over Europe, access is given to researchers to study manuscripts of important composers. 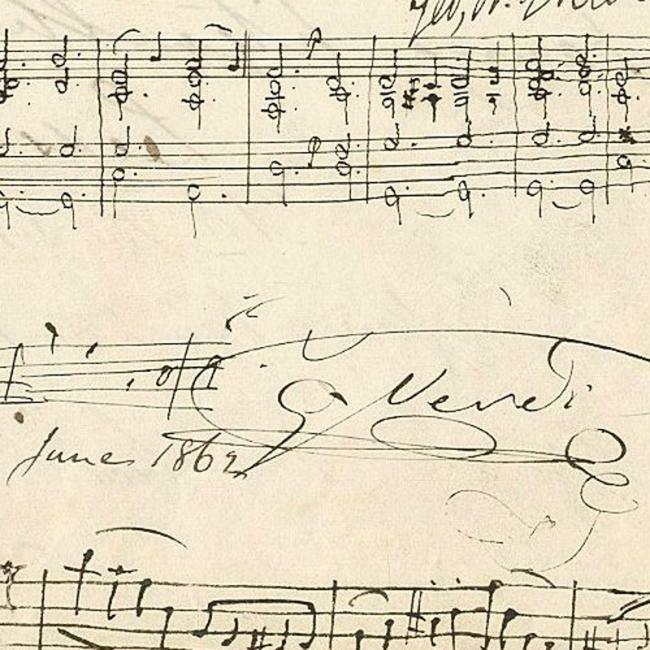 Concerning Verdi and Puccini, it is not even possible to know precisely the content of their archives: the composers’ heirs refuse to allow researchers access to examine the manuscripts. This refusal violates art. n. 127 of the Cultural Heritage Code. Roberto Abbado, Salvatore Accardo, Alberto Arbasino, Rosellina Archinto, Daniel Barenboim, Giorgio Battistelli, Bernardo Bertolucci, Francesco Saverio Borrelli, Mario Brunello, Renato Bruson, Massimo Cacciari, Bruno Cagli, Andrea Camilleri, Riccardo Chailly, James Conlon, Azio Corghi, Plácido Domingo, Ivan Fedele, Juan Diego Flórez, Dario Fo, Carlo Fontana, Luca Francesconi, Daniele Gatti, Gianluigi Gelmetti, Adriano Guarnieri, Philippe Jordan, Raina Kabaivanska, Fabio Luisi, Nicola Luisotti, Claudio Magris, Giacomo Manzoni, Michele Mariotti, Mario Martone, Zubin Mehta, Francesco Meli, Kent Nagano, Gianandrea Noseda, Anthony Pappano, Michele Pertusi, Maurizio Pollini, Salvatore Sciarrino, Renata Scotto, Alessandro Solbiati, Peter Stein, Christian Thielemann, Marco Tutino, Uto Ughi, Fabio Vacchi, Umberto Veronesi, Alberto Zedda. Conspicuously absent, Riccardo Muti, the so called leading Verdian of his generation. Perché ? This is very dangerous territory, I understand their desire to know more about Verdi and Puccini, but the archive is private property, this is as much as wanting to get into someone’s house because they have a nice Picasso painting. Forcing oneself into other people’s property, even if it’s a cultural archive, would set a very dangerous precedent. They just want to study the manuscripts. They don’t want to go through the heirs’ sock drawers. Janice, no, we are talking about cultural heritage. I know what private property is, but I would challenge the rights to the degree, that these should be hidden even from the experts. You also can’t buy a historic architecture that is protected, and then build a wall around it so nobody can see it anymore. He probably has keys already. What does he have to complain about? Well, not quite: he may be hoping to inherit them all as the one true heir to Verdi. Or something. He IS the greatest living Verdian. Closely followed by Luisotti who is catching up quick. Clue: early Verdi is the true test. Pappano is more a Puccinian than a Verdian, in my not-so-‘umble opinion. But he gets to complain – quite rightly. And I am no ‘disrespecter’ of property rights. However, the right to take a look is not quite the same thing as endangering property rights. I am the author of the article published by “Classic Voice”. We obviously contacted Mr Riccardo Muti too, asking him to sign the letter to the Minister. We wrote to him twice, but there was no answer. Why? We don’t know. But we do know that fifty leading figures in the fields of music and the humanities, not less prestigious than Mr Muti, signed the letter.